Our 4 LED Head Lamp (headlamp) is powerful and adjustable. 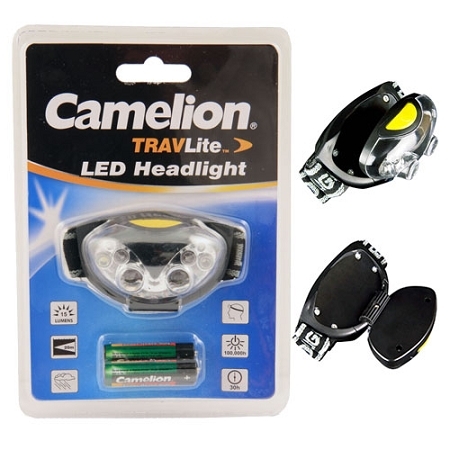 This head lamp also includes 2 Red LEDs for safety and visibility. Comes in retail packaging. Batteries are included.